Cloud storage is a service model in which data is maintained, managed and backed up remotely and made available to users over a network, typically the internet. This allows your files to become more accessible, better organized, and eco-friendly. Many companies have switched to the cloud because of the convenience. Before you make the jump. 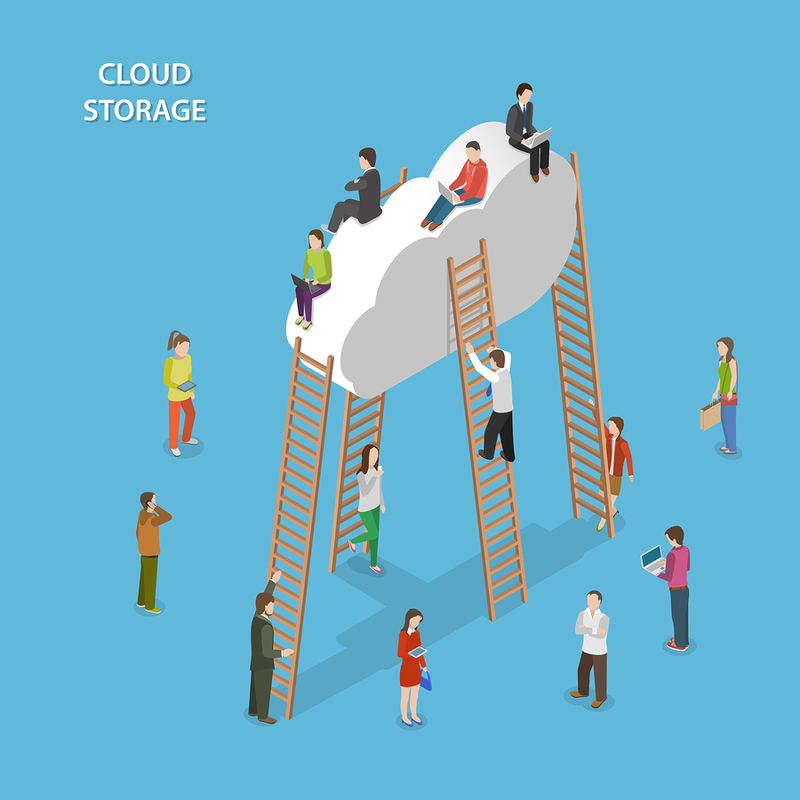 you should consider all the pros and cons of migrating to a cloud storage service- here’s 6 reasons why we think you should! It is always good to consider the pros and cons when making a big business decision. That is why we’re providing you with 7 benefits of cloud storage that can transform your business. With cloud-based systems each part of your process is connected to the others, so the data passes seamlessly from end to end. With a click of a button, your quote becomes a job, with the separate tasks ready for time to be tracked against them. When you’re done, click another button, and you’re ready to hit send. Because a cloud-based project management system is able to store accurate data about a project electronically, it can bundle that data at a moment’s notice into a report. Want to know which type of job gives you the most profit? Interested in learning how many hours jobs are really taking your team? With just a few clicks, you can find out. With many cloud companies offering APIs, you can easily integrate cloud systems together. For example, combine a project management with your CRM, and you have one powerful system that meets your specific needs. No more swapping between different software systems – everything fits together in one neat little package. On the cloud, everything is right there in front of you, and it’s also available to the client. Your client can log in, check their own details, sign off stages of the project and collaborate on documents. You can set permissions so the client only has access to their own data, keeping your system safe. With a cloud-based system, you can present a professional organized tool to clients – another way to add value to your services and set your company apart. With the cloud, as long as you can get the internet you can take the office with you, wherever you go. A reputable cloud-computing company wants your files to be as safe as possible. They invest millions to ensure your data remains safe from hackers, and that you’re able to access it anywhere and anytime you need to. Even if disaster strikes, you can work remotely from anywhere, on any device, and still keep your business ticking over. Get Free Quotes on Cloud Storage Today! As you can see, there are numerous advantages to a cloud-based system for managing projects. So, what’s holding you back from experiencing what the cloud has to offer? Call Record Nations at (866) 385-3706 or fill out the form to the right for a FREE quote in minutes. Our team will help connect you to scanning companies near you to find one that best fits your needs.